Long before the studio started distributing Marvel and Star Wars flicks, Disney built its reputation on animated movies — specifically the Disney Princess formula followed by Snow White and the Seven Dwarfs, Cinderella, Pocahontas, etc. Although the animated movies tend to be blockbuster releases and garner mostly positive critic reviews, Disney seldom releases theatrical sequels. Instead, the Mouse House has been releasing mostly direct-to-video animated movies, a section of Hollywood they pioneered in the early 1990s. The thing with those types of releases is that they can sometimes come-and-go with not very many people knowing about them. So here are a few Disney sequels you might not even know existed. "And they lived happily ever after" certainly sounds like a lovely way to end an animated film, especially one about a servant girl falling in love with a prince. But don't people want to know what comes after that? Perhaps — and that's why Disney decided to make a sequel to Cinderella, which hit shelves in 2002 (more than 50 years after the original film). Cinderella II takes place not long after the first film, with the mice Gus and Jacques writing their own fairy tale book which unfolds over the course of three parts. 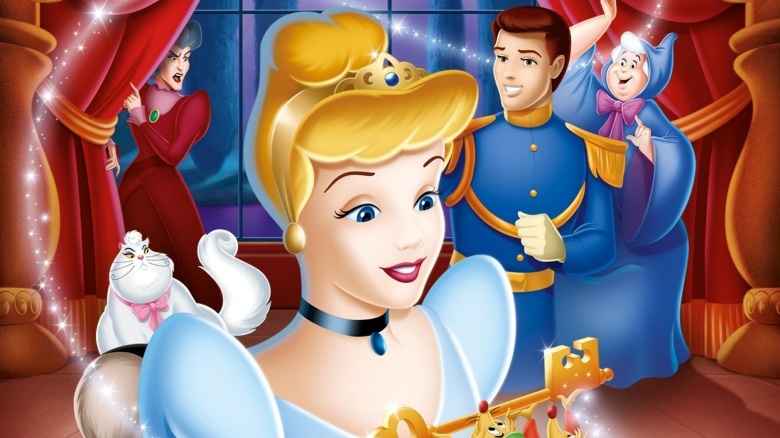 In the first part, Cinderella attempts to abide by traditional princess duties and hosts a party following her and the prince's honeymoon. In the second part, Jacques has a sort of existential crisis and asks the Fairy Godmother to turn him into a tall human. In the third part Cinderella's stepsister, Anastasia, falls in love with a lowly baker as her family disapproves. It might've garnered an abysmal Rotten Tomatoes score of 11 percent, but the film still propelled Disney's year-over-year home video sales in 2002. Cinderella II's sales prompted the studio to move forward with a third installment, Cinderella III: A Twist in Time, which significantly improved upon its predecessor. It released in 2007 to critical acclaim, earning a Rotten Tomatoes score of 71 percent and accumulating almost $92 million in home video sales. After a 30-year hiatus Disney released a new Disney Princess movie in 1989, The Little Mermaid, with Ariel as the new princess. The film was a worldwide success, which helped usher the studio into the colloquially named Disney Renaissance period (referring to the stream of animated movies released between 1989 and 1999). 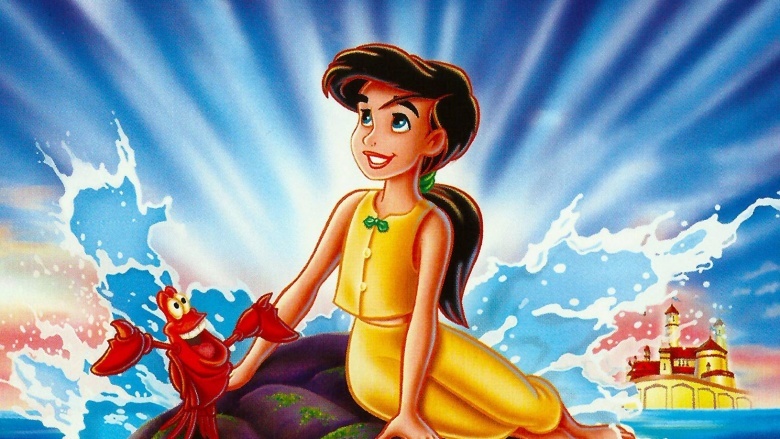 Note how the Disney Renaissance ended in 1999, one year prior to The Little Mermaid's sequel. That's because the unnecessary and rather undeserving sequel was poorly received by critics and audiences alike. Whereas the plot of Cinderella II took place shortly after the first film, The Little Mermaid 2 takes place much later in Ariel and Prince Eric's marriage. It begins with a celebration of the birth of their daughter, whom Ursula's sister, Morgana, threatens to harm in order to obtain King Triton's trident. Over a decade later, Melody learns of her mermaid heritage and she rebels against her mother. Melody manages to unite the people of the land and the sea after a battle between Morgana and the story's heroes. Disney decided to next make a prequel to the first Little Mermaid film next. Although that film was also poorly received, it was still a commercial success earning over $50 million in home video sales. When it released in 1994, The Lion King blew critics away with its "emotionally stirring, richly drawn, and beautifully animated" story. It was so successful that it became the highest-grossing animated film ever at the time, and the second highest-grossing film overall behind Jurassic Park. Things have obviously changed since then, but The Lion King remains a favorite addition to the Disney pantheon. Its sequel does not. The Lion King sequel was panned by critics and follows Simba and Nala's daughter as she attempts to unite warring families. 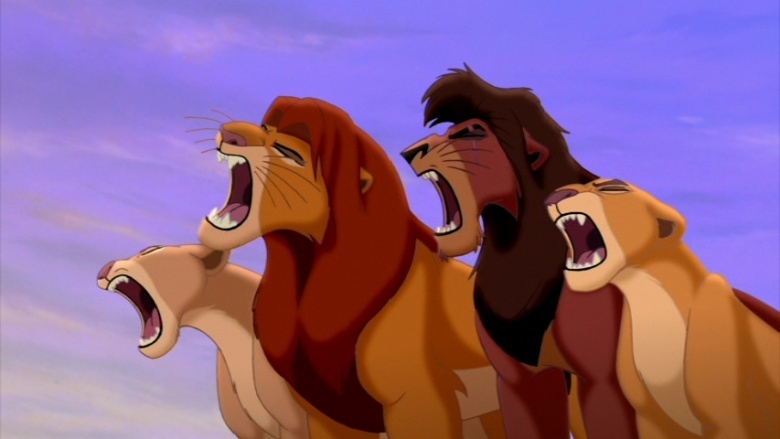 Most direct-to-video Disney sequels tend to feature an entirely new cast, primarily due to the films releasing years (if not decades) after their originals, but The Lion King II: Simba's Pride brought back the majority of the original voice cast. But there were a few exceptions: Edward Hibbert replaced Rowan Atkinson as the voice of Zaru, and Jim Cummings replaced Jeremy Irons as the voice of Scar. Disney put out The Lion King 1½ next, set between the original film and Simba's Pride. It also featured most of the original cast. Unlike Simba's Pride, The Lion King 1½ focused on Timon and Pumba rather than Simba. All these years later, The Lion King seems to be a thriving franchise for Disney. The studio has ordered a re-imagining of the film from The Jungle Book director Jon Favreau that's almost guaranteed to be a blockbuster. There's also an animated spinoff TV series currently airing on Disney Junior. Almost 50 years after the first Peter Pan film released in theaters Disney released a theatrical sequel, Return to Never Land, starring Blayne Weaver as Peter Pan and Corey Burton as Captain Hook. And just like the first film, the sequel is partially based on J.M. Barrie's Peter and Wendy. It follows the events of When Wendy Grew Up: An Afterthought, an additional scene Barrie added to his Peter Pan play. It's also the final chapter in the Peter and Wendy novel. 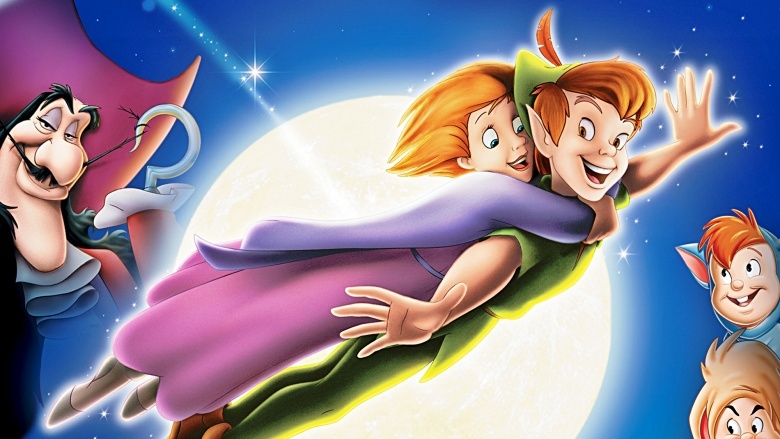 Despite following the events of the novel's final chapter, the movie prioritizes taking place after Disney's Peter Pan film. So there are some discernible differences, namely in the characterization of Wendy's daughter, Jane. Wendy's brothers return with her to London and lead normal lives in the novel, but in the movie they remain in Neverland with Peter. Return to Never Land received generally mixed reviews, earning a Rotten Tomatoes score of 46 percent. But it still became a box office success, grossing almost $110 million worldwide on an estimated $20 million production budget. Disney opted not to pursue another sequel (though Tinker Bell is running her own film franchise these days), but the story did spawn the Jake and the Never Land Pirates spinoff TV series on Disney Junior. 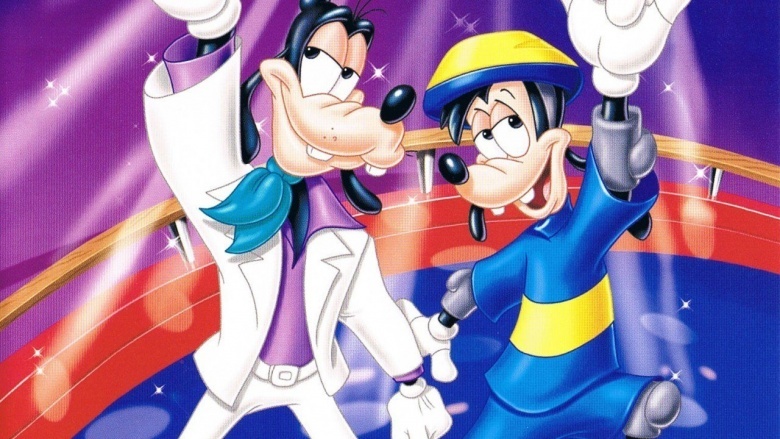 An Extremely Goofy Movie is a unique addition, as a sequel to a movie (A Goofy Movie) that was essentially a sequel to a TV series (Goof Troop). Two of the main cast members from the TV series — Bill Farmer and Jim Cummings, who played Goofy and Pete respectively — returned for the movie as well as its sequel. However, Jason Marsden replaced Dana Hill as the voice of Max for the movies. The sequel follows Goofy and Max as they both head to college to earn their undergraduate degrees. Attending the same college as your Goofy father isn't exactly the greatest idea in the world, setting up all kinds of conflict and goofiness (ahem). Since the film is technically a spinoff of the TV series and continues the story of Goofy and Max years later, it effectively acts as Goof Troop's series finale. Interestingly, the sequel is a rare case of a direct-to-video Disney sequel rating higher than its predecessor, earning a Rotten Tomatoes score of 57 percent versus the original film's 53 percent score. The Jungle Book 2 is the rare Disney sequel to open theatrically, though most critics believe Disney would've been better off just sending it straight to DVD. Produced by Disney Toon Studios and directed by Steve Trenbirth, The Jungle Book 2 released in 2003 (36 years after the first Jungle Book movie). It starred John-Rhys Davies, Phil Collins, and John Goodman, as well as young up-and-comers Haley Joel Osment and Mae Whitman. Despite being a worldwide box office success, grossing $135 million on an estimated $20 million production budget, the film didn't strike a chord with audiences the same way the original film did. But it won't be the only Jungle Book sequel, as Jon Favreau recently confirmed he will be directing a sequel to his acclaimed live-action Jungle Book movie. Hopefully he doesn't fall into the same trap as the animated sequel. Aladdin was an immediate hit with critics and audiences alike when it released in 1992, earning a Rotten Tomatoes score of 94 percent while grossing over $500 million worldwide. It was also a unique film for Disney, featuring the first ethnic Disney Princess. So it's only fitting that its sequel, The Return of Jafar, became the first direct-to-video animated sequel when it released in 1994. It didn't just start a trend of direct-to-video sequels for Disney but also a trend of horribly made ones. 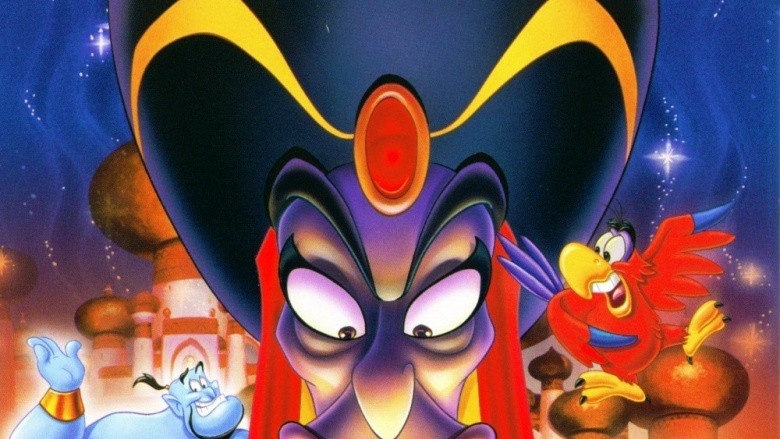 The Return of Jafar received generally negative reviews from critics, mostly for its lack of creativity — but that didn't put a damper on its commercial success. It was clear right from the beginning that Disney discovered a new revenue stream for their animated properties, one that didn't require a big-budget theatrical release. Disregarding critical and audience sentiment, the film's success prompted Disney to continue with this trend and release yet another Aladdin movie in 1996 titled Aladdin and the King of Thieves (inspired by the Ali Baba and the Forty Thieves tale from One Thousand and One Nights). Unsurprisingly, it was also abhorred by critics. Disney released this direct-to-video sequel/spinoff to The Emperor's New Groove in 2005, five years after the original film. The sequel takes place after the events of The Emperor's New Groove and follows Yzma's former henchman, Kronk. That's not to say the Emperor isn't in the movie at all — he actually narrates the tale about Kronk's journey to winning his father's approval as well as Miss Birdwell's affections. Despite the talented voice cast — David Spade, John Goodman, Eartha Kitt, Patrick Warburton, etc. — returning for the sequel, critics heavily criticized the film for its lack of originality and, well, groove. It currently holds an audience score of 41 percent on Rotten Tomatoes. 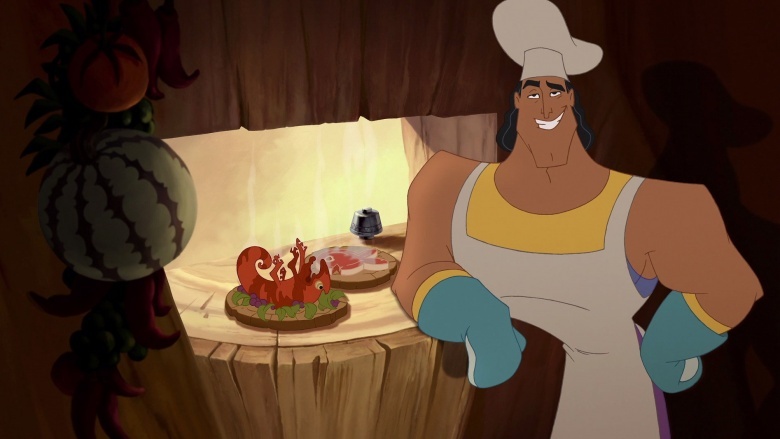 Whereas the original film received an Academy Award nomination for Best Original Song, Kronk's New Groove failed to produce even one decent song, at least according to the critics. 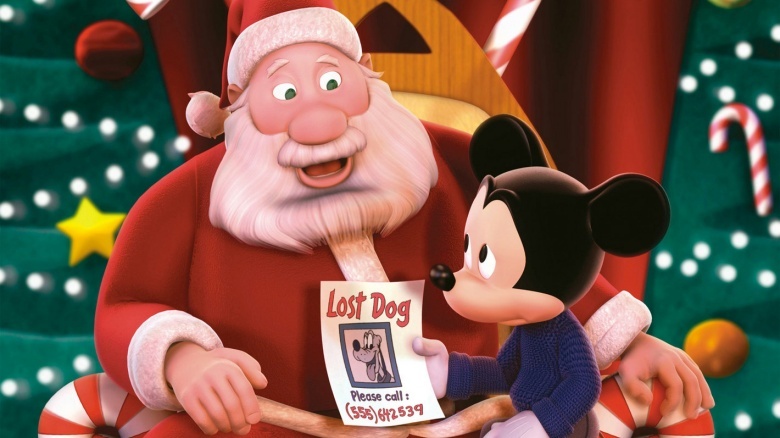 Disney released this direct-to-video sequel five years after Mickey's Once Upon a Christmas, which continued the trend of playing on the original movie's title instead of simply numbering the sequel. Despite there not being a Rotten Tomatoes critics rating for the movie, it did garner a 64 percent approval rating with audiences. So it appears that some people must have liked it. Unlike virtually all of the other movies in this article, Mickey's Twice Upon a Christmas is a direct-to-video sequel to a direct-to-video movie. The sequel is similar to the original in premise, yet differs in a few ways. For instance, while the first film featured three segments, Mickey's Twice Upon a Christmas has five segments. On a side note, Mickey's Twice Upon a Christmas is also regarded for being the final film to star legendary TV actor Alan Young, who passed away in 2016 and will be remembered for his voice work as Scrooge McDuck. Beauty and the Beast is one of the most beloved Disney films to date, with critics like Roger Ebert hailing it as a magical tale in the same league as Pinnochio and Snow White and the Seven Dwarfs. So considering the first film was the first animated movie ever to be nominated for Best Picture at the Academy Awards, it is disheartening to see that its sequel was universally panned by critics. 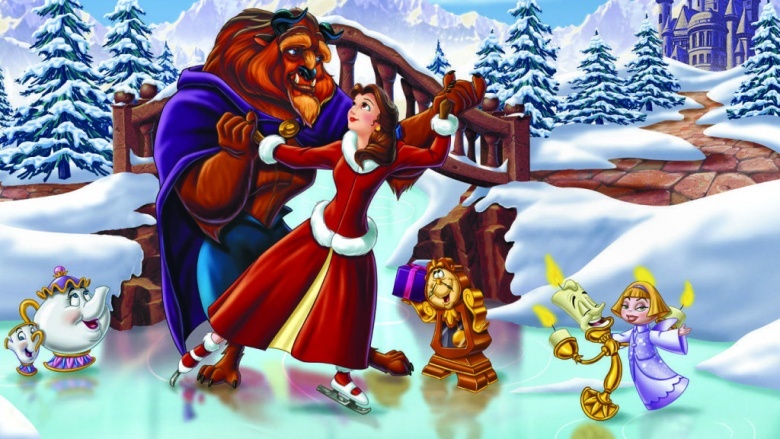 Although technically a sequel, Beauty and the Beast: The Enchanted Christmas takes place within the events of the first Beauty and the Beast film (not long after the Beast rescues Belle from the wolves). Since Prince Adam transformed into the Beast around Christmastime, he forbade Christmas from being celebrated in his castle. The story focuses on Belle, Cogsworth, Chip, Lumiere, and Mrs. Potts as they convince the Beast to allow them a Christmas celebration. Furthermore, the film shows in greater detail how Prince Adam turned into the Beast. Disney moved forward with yet another follow-up, Beauty and the Beast: Belle's Magical World, one year after The Enchanted Christmas. It also took place during the events of the first film. That story was set shortly after the events of The Enchanted Christmas, yet before the Beast's encounter with Gaston in the original film. 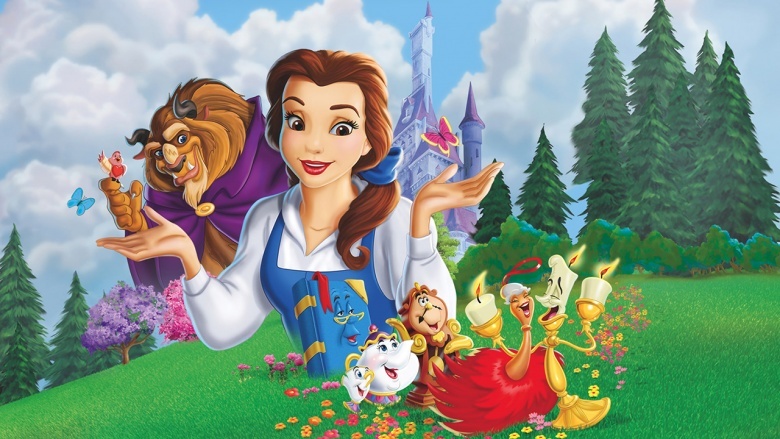 As with the previous installment, Belle's Magical World received poor reviews. However, unlike most Disney animated sequels, these two were designed to add exposition and context to the original story.